*Well it looks like Disney has gone and done it again! What with all the promotion leading up to its upcoming, new animated film with morals, many of the human kind were skeptical. How serious, after all, could a animated flick co-starring a bunny rabbit named Officer Judy Hoffs be? 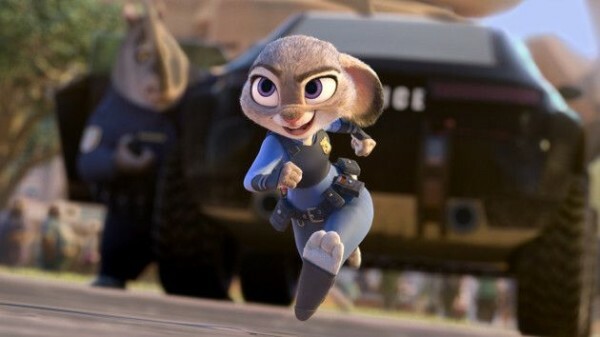 But “ZooTopia,” the 3D animated film with lots of heart, (and a few big stars including the voices of Ginnifer Goodwin, Jason Bateman, Idris Elba, J.K. Simmons, Tommy Chong, Octavia Spencer, Jenny Slate, and Shakira) delivered — topping the box office at $73.7 million in North American theaters alone. That’s already nearly half of what it cost to make the film, which is expected to be a big attraction through Easter.